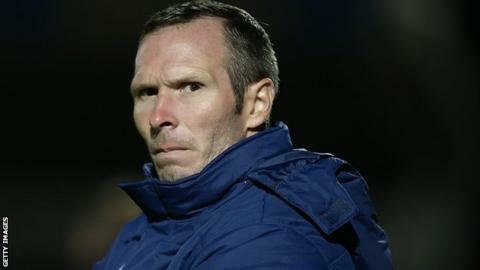 Oxford United boss Michael Appleton has reduced the size of their pitch to help his players psychologically. The U's had the surface replaced this summer and start their League Two season at home to Crawley on Saturday. "It was the size of Wembley. I know that for a fact because I went on the pitch and measured it with a metre wheel myself," he told BBC Oxford. "We haven't reduced it drastically, but we were a little concerned about the size of it last year." He continued: "Even if it's not a massive difference, psychologically the players know there are no excuses now." Oxford won just seven of their 23 home league games last season as they finished in mid-table, but they are rated among the favourites for promotion this season. They are now the sole club using the Kassam Stadium, with Championship rugby side London Welsh having returned to Richmond after sharing the ground for three years. "We just felt that we couldn't keep momentum in games sometimes at home, whereas away we seem to do it quite easily," Appleton added. "If we do lose possession of the ball we want to try and win the ball back as quickly as we possibly can."